Whatever happened to Spooks, best known for their 2001 hits ‘Things I’ve Seen‘ and ‘Karma Hotel‘? Well, as it turns out they had another album in 2003, but the group disbanded shortly after former member Water Water died in a car accident. Lead singer Ming-Xia is still putting that unique voice to good use working on solo material. 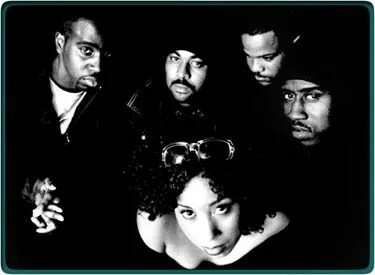 Last year she sang on Jurassic 5 frontman Chali 2na’s ‘4 Be Be’ from his debut album ‘Fish Outta Water’. Summer’s here and I wanted to let you guys know that I’m quite fond of the instore sound system at my summer job. Here are four songs I secretly sang along to today. About: Idool 2003 diva Natalia’s live cover of Dolly Parton’s ‘You Are‘. I was surprised to hear this as it was only ever released as a b-side and a bonus track on the ‘Back For More’ rerelease. About: The song that represented Azerbaijan at the 2010 Eurovision Song Contest is still very much amazing. I should really look into getting the album as the samples on Amazon sound amazing. About: Basically just a gorgeous song that got featured on the soundtrack of the Dutch movie ‘Alles Is Liefde‘. About: One of those songs I’ll forever remember as something my mom loved when I was a kid. Together with two of my favourite Eurovision fanatics I’ll be taking a closer look at this year’s Eurovision hopefuls. Over the next week we’ll be rating every country and we’ll give our own take on it in a tweet, i.e. in 140 characters or less. MadeInHeaven: A British resident of the Popjustice forum. Greg Baker: Our impartial American voice of reason. Today we’ll be taking a closer look at Switzerland, Sweden, Azerbaijan and Ukraine!